Good and safe life-saving appliances are indispensable. 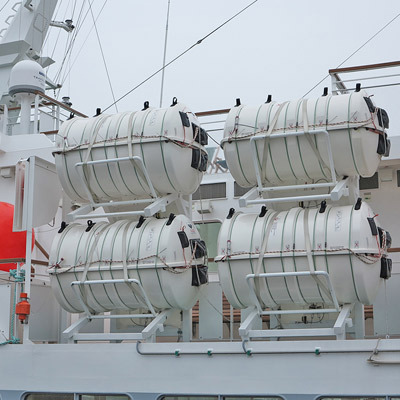 For life-saving appliances on seagoing ships engaged on international voyages mandatory requirements have been established worldwide by the International Maritime Organization (IMO). A vital factor is periodic testing and maintenance by competent service providers. The German flag has always spearheaded innovation in life-saving appliances. Just one example is the freefall lifeboat, which was developed in Germany and is now widely used all over the world. 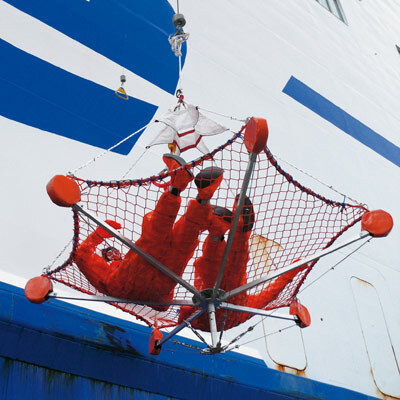 Also the amendment of the SOLAS convention which requires ships to be fitted with equipment for recovery of persons from the water results from a German initiative, co-ordinated by the ship safety division of the BG-Verkehr.